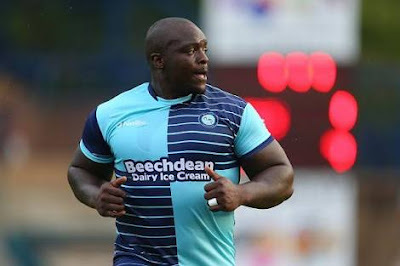 Meet the biggest and strongest player in world football, Saheed Adebayo Akinfenwa also known as the beast. 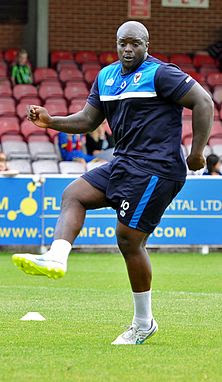 He is an English professional footballer born to Nigerian parents on 10th May 1982 in west Ham England. He was born to a Muslim father and a christian mother, He is currently a christian. 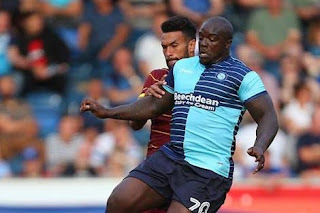 Wycombe wanderers in the league two of the English Premier League as a striker. He is well known for his physical strength and strong built. He currently weighs around 102 kg and can bench press 200kg which is twice his own body weight. He has been ranked severally as the strongest player on the Fifa video games series. Akinfenwa is popularly known for his physical strength and strong built rather than his footballing skills. 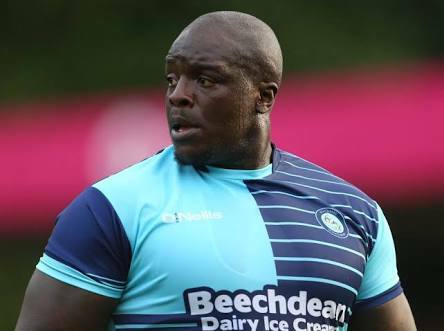 In his football career, he has also turned out for Swansea City, Millwall and Northampton. 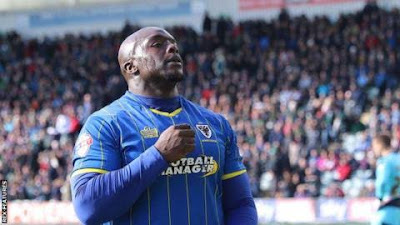 He has never played in the top flight of English Football.